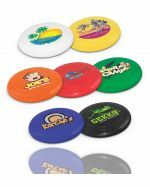 Fast turnaround on custom branded frisbees and sportsballs. 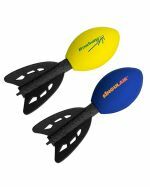 Australians love outdoor activities, and this gives you an opportunity to link your brand to fresh air, sunshine and fun! 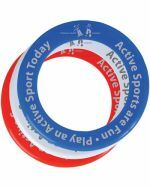 A frisbee is simply a plastic disc that can be made to ‘fly’ by placing some spin on it when you throw it. 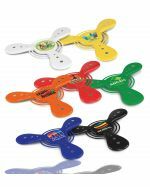 Because of its unique aerodynamics, frisbees and other flying disks can travel a greater distance than many thrown toys, even at relatively low speeds. 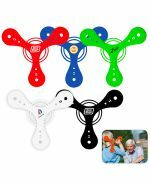 This makes them safe, enjoyable toys for outdoor play with friends, children and even pets. 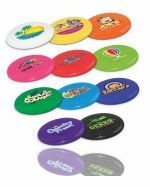 A branded frisbee is simply a flying disk that has been imprinted printed with a logo, slogan or other branding material. 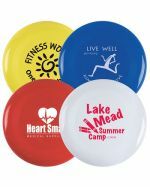 If your brand would benefit from being associated with outdoor fun, then branded frisbees could be just what you need. 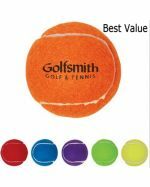 What are Branded Sports Balls? 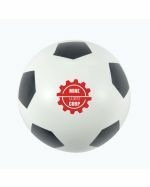 Sports balls are exactly what they sound like -- balls used in sports, including Rugby, soccer, baseball or basketball. 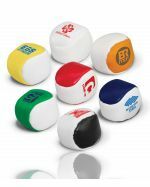 Through the process of branding, we will print these balls with your logo or other promotional artwork. How do I Send my Logo to Promo Planet? 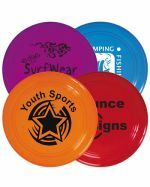 To print your organisation’s logo onto quality frisbees, we need you to send us your logo artwork in an EPS or PDF file, or as a high-resolution JPG file. 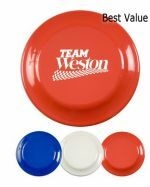 How Soon will my Promotional Balls or Frisbees Arrive? 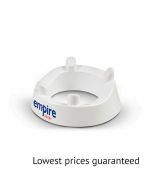 We offer a standard turnaround time of two weeks between finalising your order and delivery. 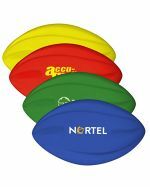 Once you are satisfied with your order, we begin work immediately, printing your brand onto quality sporting equipment. We deliver to your door in any state or territory of Australia – NSW | VIC | QLD | WA | TAS | SA | ACT | NT. Express turnaround is available in selected areas – ask our sales staff for details. 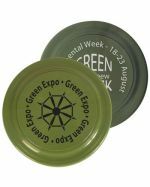 Always a great choice when you need a promotional item that will brand your logo clearly. 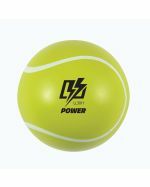 How can Sports Balls and Flying Disks be Custom Branded? 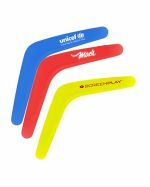 There are a number of ways your brand can be added to these fun play items. 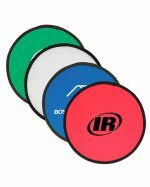 Perhaps the most popular is through pad printing. 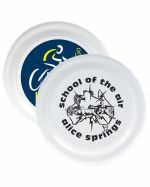 This is a technique in which ink is transferred first to a curved silicon rubber pad, and then onto your frisbee or ball. 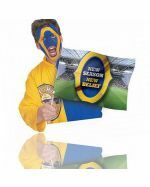 Pad printing is one of the most effective ways of printing onto curved, non-porous surfaces. 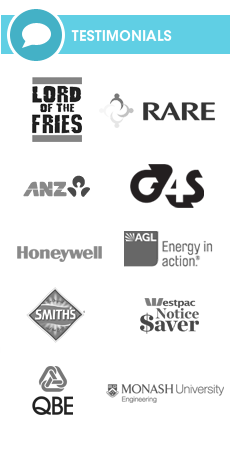 The printing process happens right here in Australia, to keep jobs local and transport costs low. 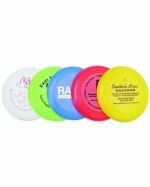 How Can I use Personalised Frisbees and Sports Balls in my Promotions? 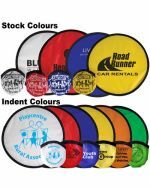 or simply if you want to be associated with fun and enjoyment, then sport balls and frisbees are promotional items that can work for you. 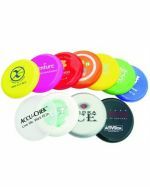 Frisbees are inexpensive items suitable for giveaways or premiums. 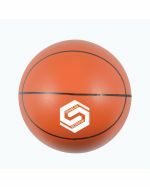 Sports balls can also be used this way, or if your organisation is directly connected with sport, you might simply want to use balls with your brand in place of generic balls.